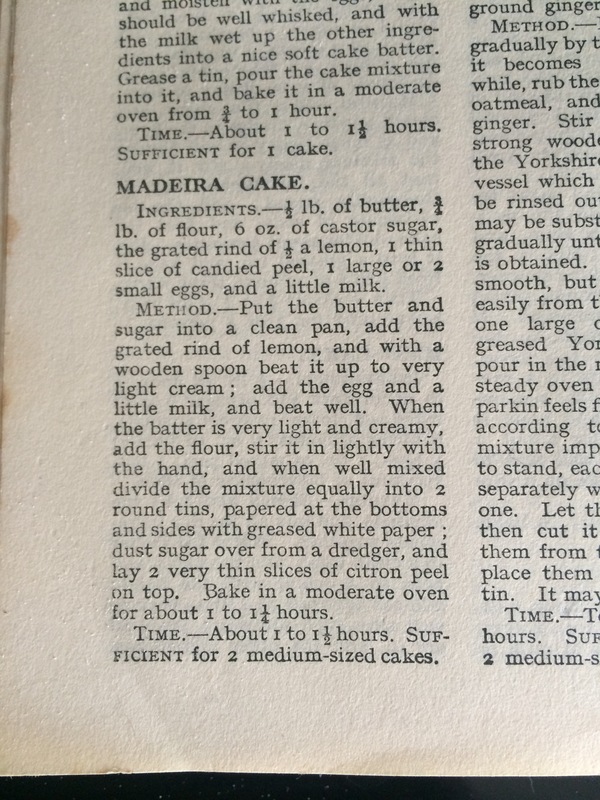 Madeira cake is something I’ve never tried, let alone made! 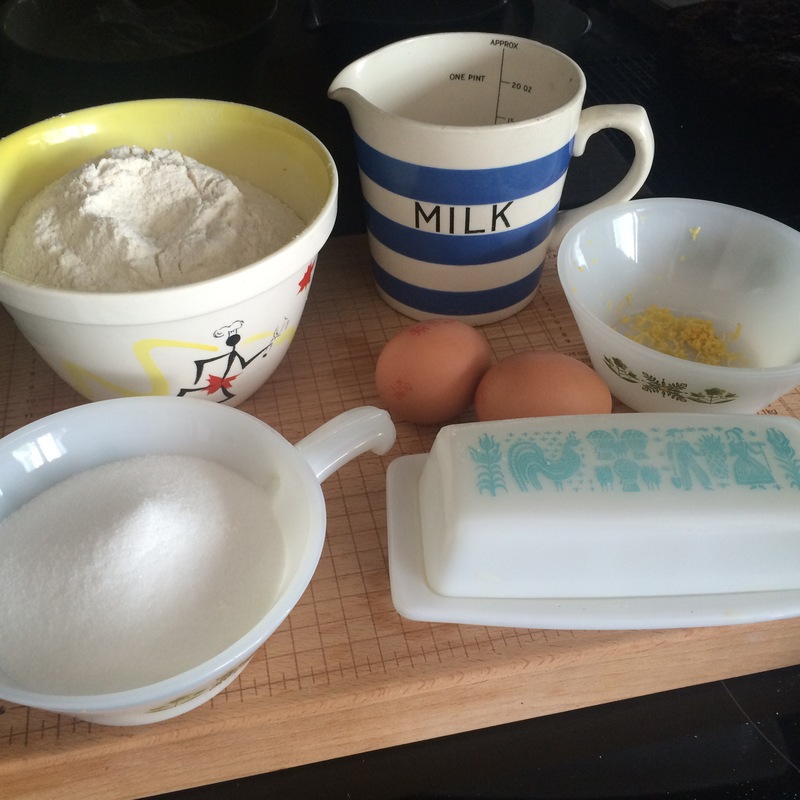 But on last weeks first episode of The Great British Bake Off this was a basic cake bake for the competing bakers. Under the watchful glare of Paul Hollywood and Mary Berry. So I turned to my copy of Mrs Beeton’s Cookery book to see whether she had a recipe. So here we go! I’m even going to make it as she asks, with a wooden spoon rather than the Kitchenaid! 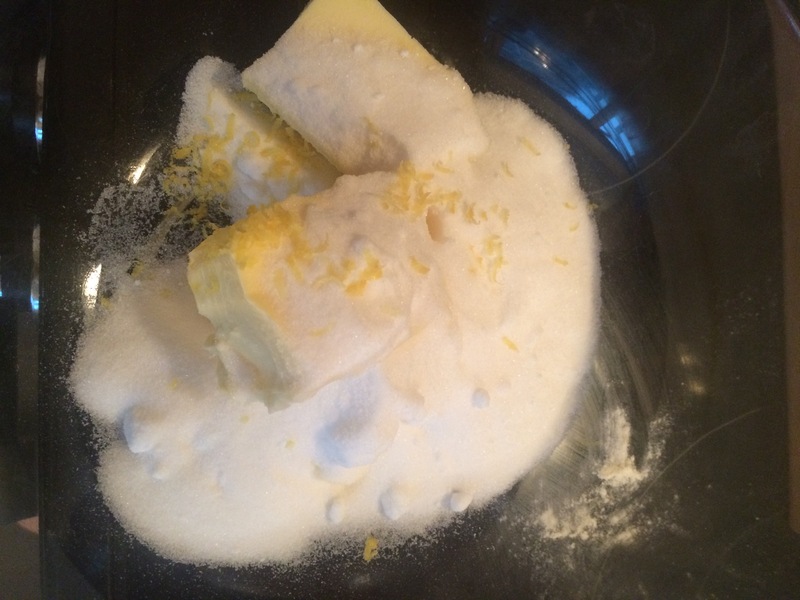 Mix ingredients with a wooden spoon and just keep mixing until its light and creamy. Mix a bit more! 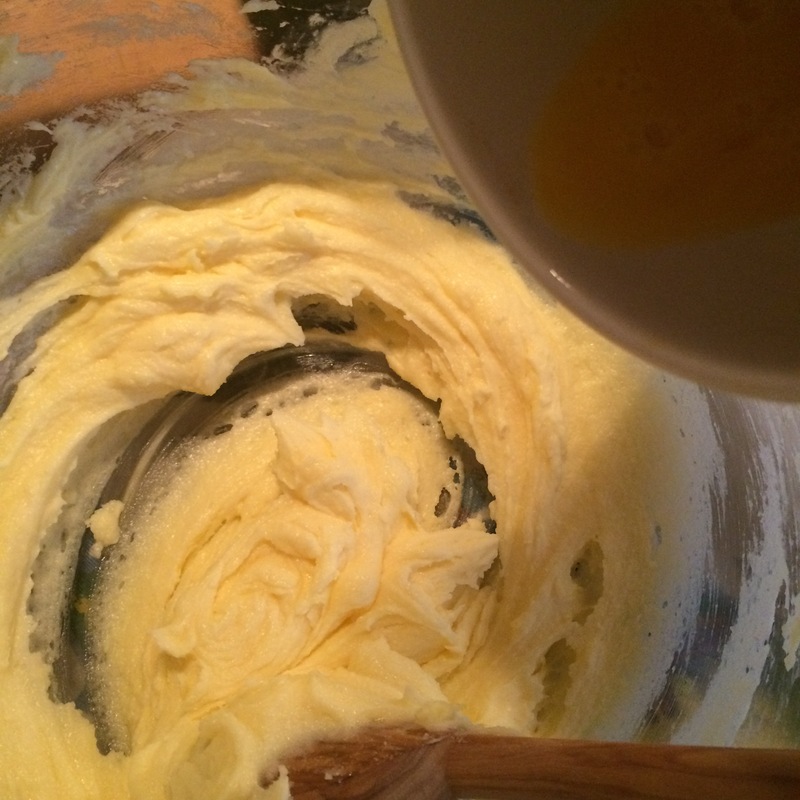 Add the egg and a little milk mix in , keep mixing until totally mixed in and really creamy. 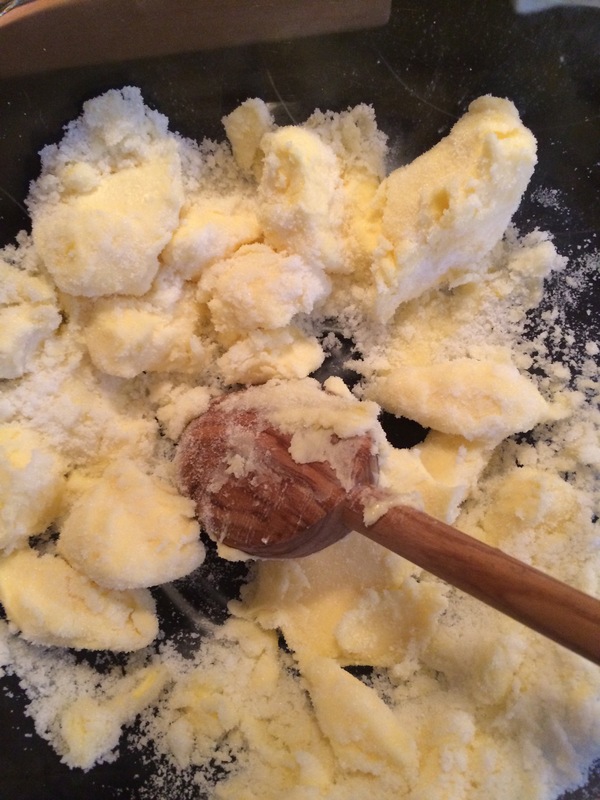 Fold in the flour with a metal spoon , slowly and not all at once. 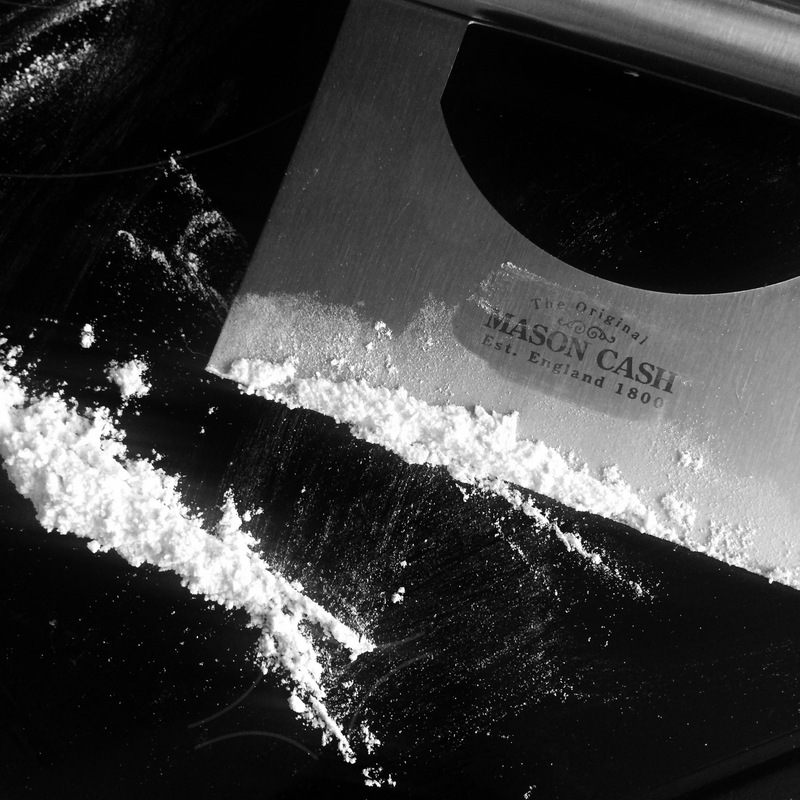 I tend to make a mess with flour!!! Spoon the mixture into the prepared tin and smooth over. Sprinkle some candied peel across the top. This is a heavy cake and needs a slow bake. My fan assisted oven was set at 140. 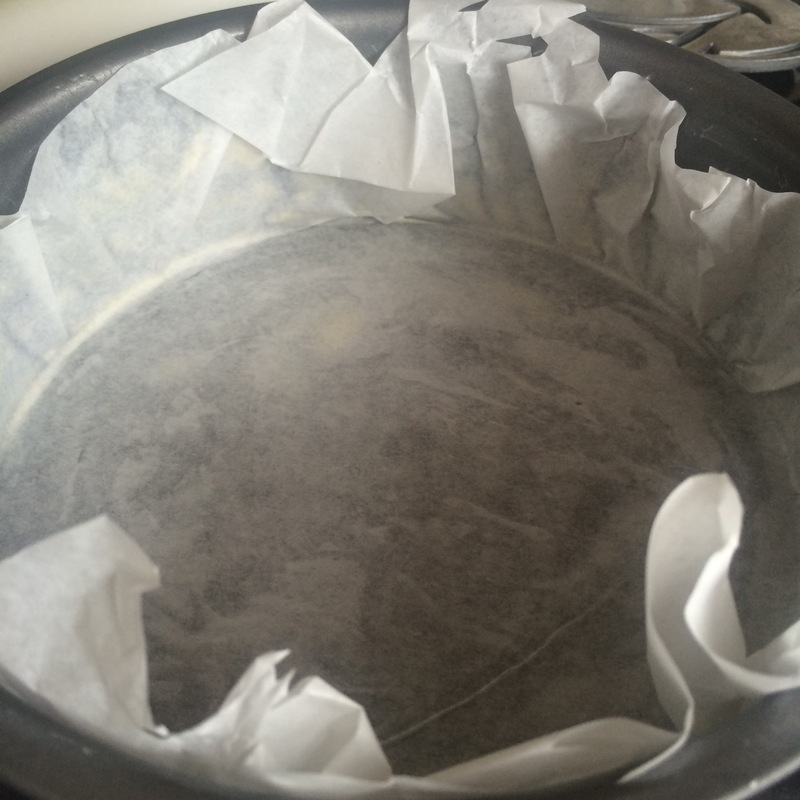 I also put a Pyrex ramekin of water in the bottom of the oven to create steam so I could try and keep the cake moist. And I have to say, I will never make it again! Three efforts at making all ended in disaster. It is a heavy cake but mine was like a biscuit! Each time I turned to the Google God to help me explain. I lowered the temperature on the oven. I put a pot of water in the oven. I wrapped the tin in newspaper. Each time I was true to Mrs B’s recipe and each time was a car crash! I had a slice of the Victoria sandwich whilst I worked and that was truly divine. The Queen’s cakes have a fan base. This is destined for the food recycling bin! The two Mrs B’s (including me) will be back next week. I shall lick my Madeira wounds and make something glorious next week!